Obituary for Louis D. Liberato | Devlin-Rosmos-Kepp F.H. 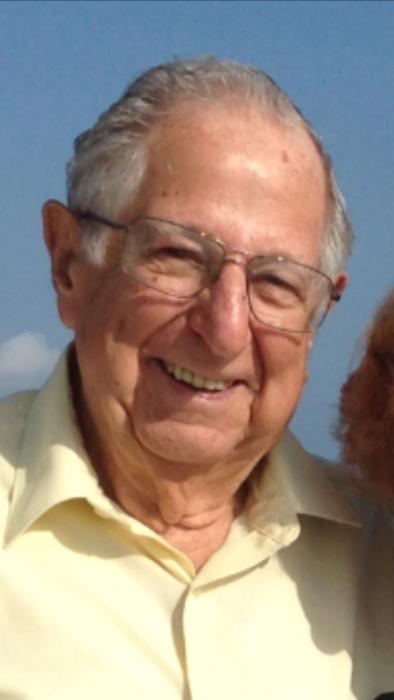 & C. S.
Louis D. Liberato, 93, husband of the Catherine (MacAdam)(Kershner) Liberato of Mont Clare, PA and the late Mary L. Liberato died on Sunday, April 14, 2019 in Seasons Hospice. Born on May 21, 1925 in Clifton Heights, PA he was the son on the late Nicholas and Lillian (DiPrinzio) Liberato. He served in the United States Army during World War II and was captured during Battle of the Bulge, and was held prisoner in Germany. He was a Print Press Operator and then Personnel Manager for Denney Rayburn Company . He was a member of St. Mary of the Assumption Catholic Church. He was a member of Brandywine Ex-Prisoners of War Organization and enjoyed playing golf. Thomas and wife Janet Kershner. Brother and sister, Nicholas Liberato and Lillian Aquilante. Preceded in death by step-son Peter Kershner and sister, Margaret. Relatives and friends are invited to attend his Funeral Mass in St. Mary of the Assumption Catholic Church, 212 Dayton Street, Phoenixville, PA on Monday, April 22, 2019 at 10:00 am. Burial will follow in St. Agnes Cemetery, West Chester, PA.
A viewing will be held Monday from 8:45 to 9:45. In lieu of flowers contributions may be made to St. Mary of the Assumption Catholic Church, 212 Dayton Street, Phoenixville, PA or Seasons Hospice, 140 Nutt Road, Phoenixville, PA 19460.